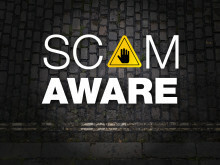 A rapid response scheme by banks and police prevented potential fraud victims in Hampshire from being scammed out of £1.4million in 2018, new figures have revealed. ​Two men have been jailed for a total of 12 years for defrauding an elderly woman out of nearly £40,000 of her life savings. More than £130,000 worth of fraud was prevented in Hampshire and the Isle of Wight in September as a direct result of the Banking Protocol. We have issued CCTV images of a man we would like to speak to in connection with a suspected fraud in Eastleigh.